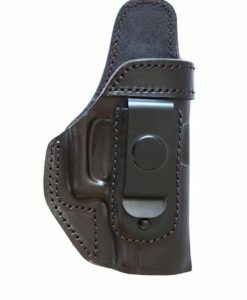 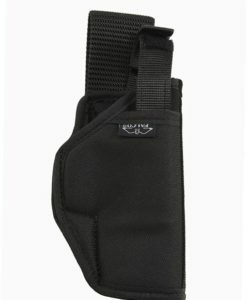 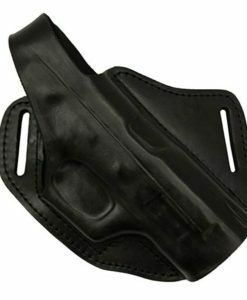 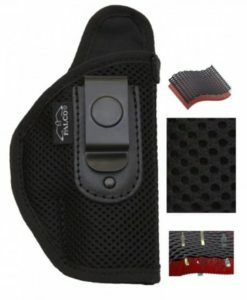 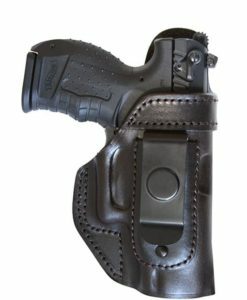 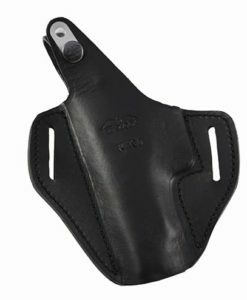 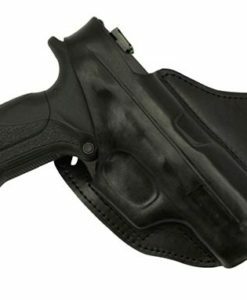 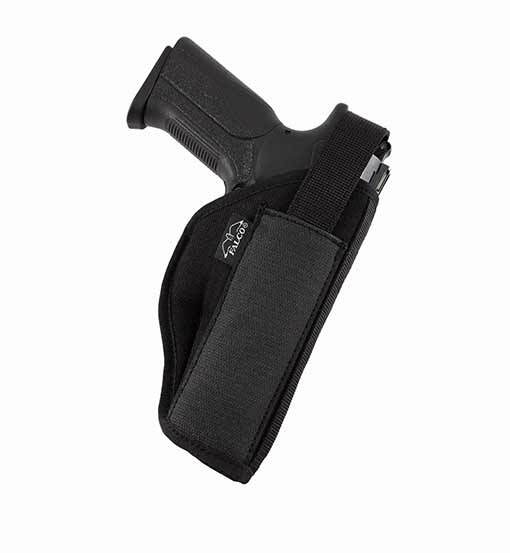 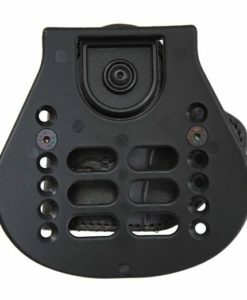 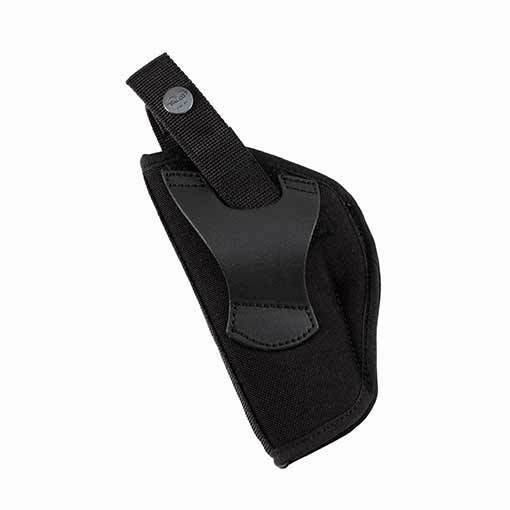 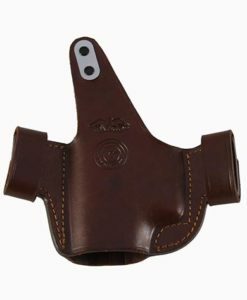 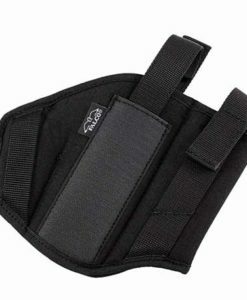 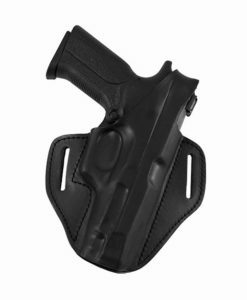 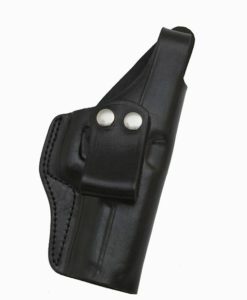 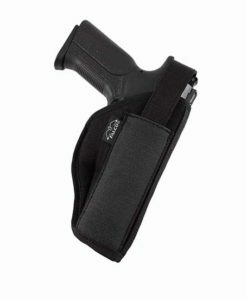 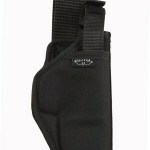 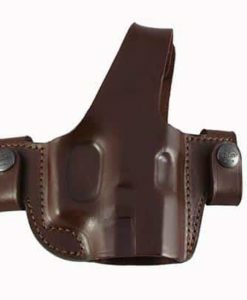 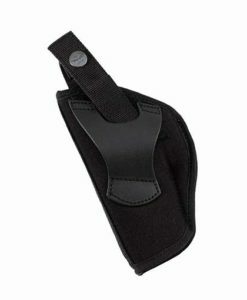 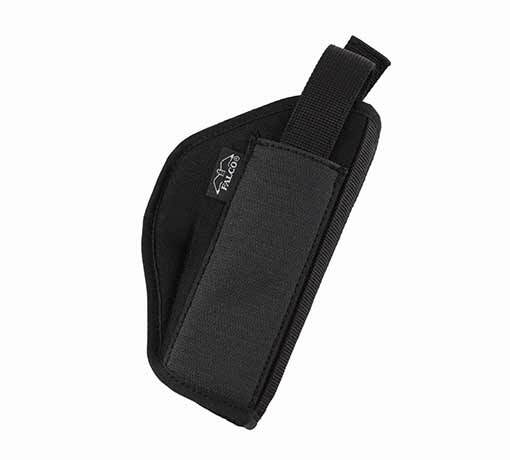 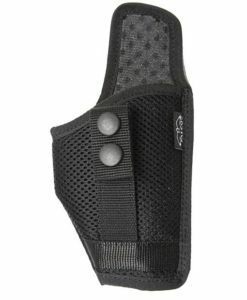 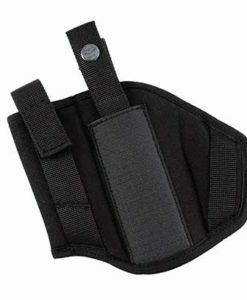 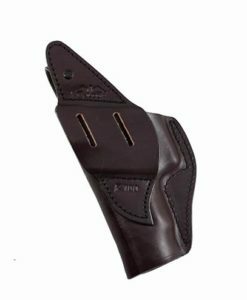 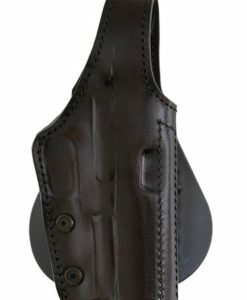 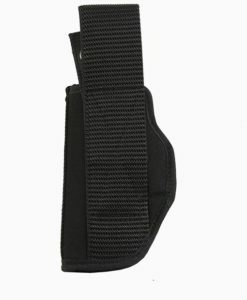 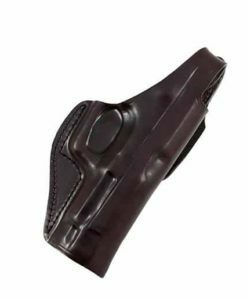 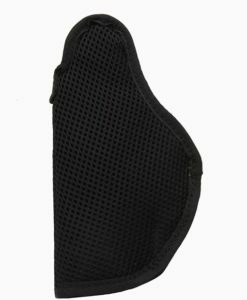 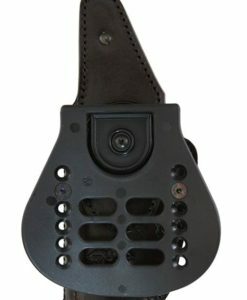 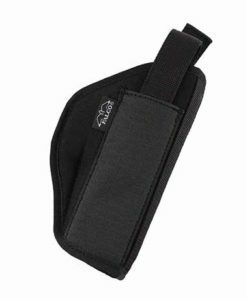 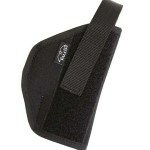 This holster is manufactured of soft nylon with durable lining. 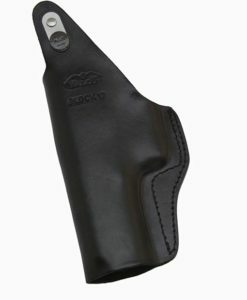 Gun is secured by adjustable quick-detachable thumb break. 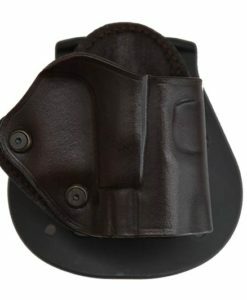 On the back side of the holster is wide leather tunnel loop.